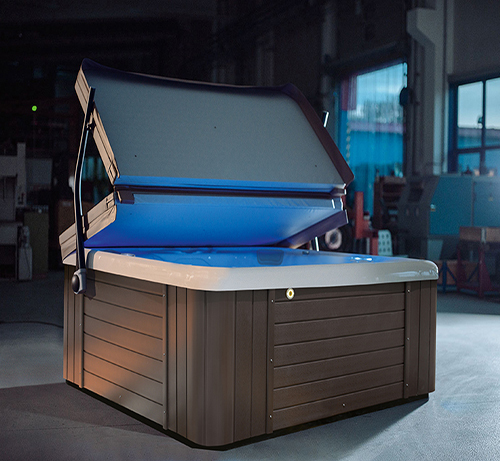 The Riptide Poseidon is a swimming spa and full specification hot tub combined. 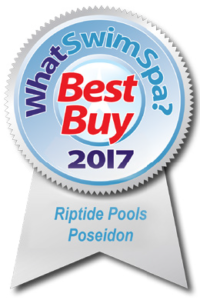 The ultimate swim and spa package, the Poseidon gives you the absolute best of both worlds to form one of the finest swim spas available today. 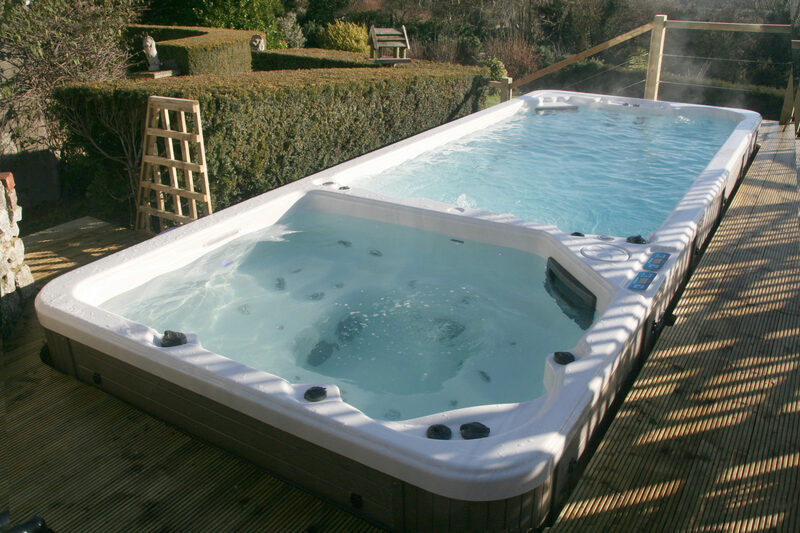 Two volumes of water ensure that the spa end is hot, whilst the swim end is at a lower temperature suitable for swimming against the powerful counter currents. 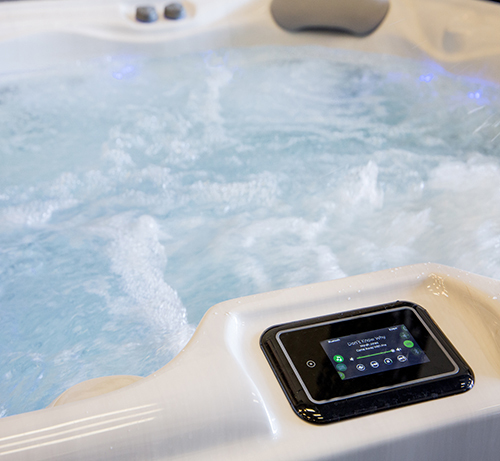 The spa end is the perfect space for up to 5 adults with it’s powerful hydrotherapy jets, waterfall and LED lighting system. There are six Australian round jets in the swim end. When swimming against the counter currents, there are three rest seats for if you are working out with friends and family. 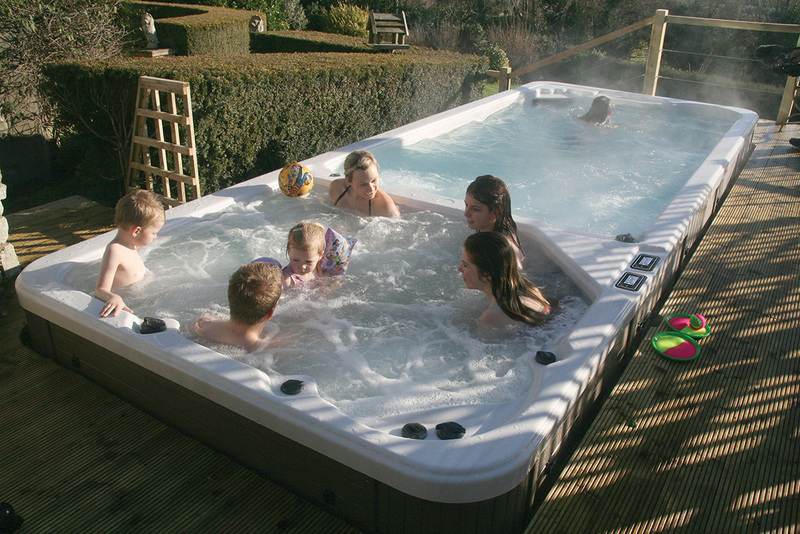 The Poseidon is designed to a very high specification and crammed full of features to create a stunning swimming pool. Cutting-edge pump and heating technology ensures that the Poseidon is also economical to run.